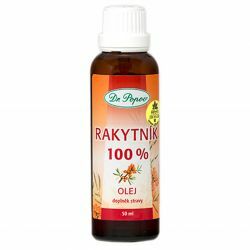 Vitamin syrup is a complex of active ingredients which contribute to normal immune function of children from 3 years old, elderly, intellectual workers, sportsmen and women during menstruation, pregnancy etc. 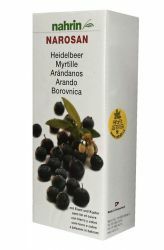 Organic juice contains besides vitamins iron, copper, pollen extract and blueberry juice. 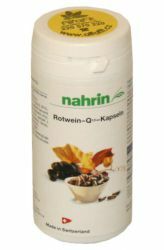 Nahrin Narosan are mutivitamin syrups containing minerals, extract of wheat germ and other active ingredients necessary for life. Vitamins are substances that are involved in totally all metabolic processes, but the body can not produce them itself. Therefore it is necessary to take them in food, in the form of a vitamin or provitamin itself - the substance from which your body using the metabolism the vitamin creates. Their need for humans depends on the season, age, physical and mental stress and so on. 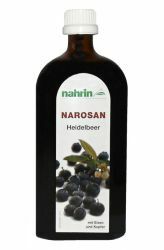 Nahrin company launched on the market a number of Narosan in several flavors, and it deliberately, because each food contains a different ratio of vitamins, minerals and essential acids. Nahrin Narosan Blueberry 500 ml is syrup which contains complexed composition of active ingredients which contribute to the normal function of the immune system. 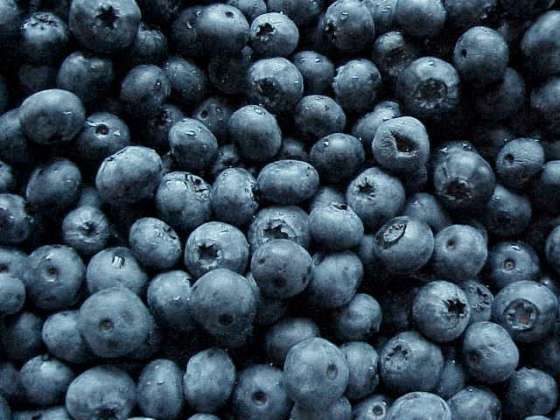 Outside the base is essential vitamin content of iron, copper and blueberry juices. 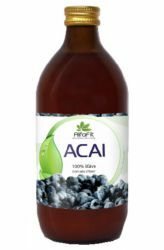 * Vitamins A, B12, B6, C, D, together with copper and iron contribute to the normal function of the immune system. 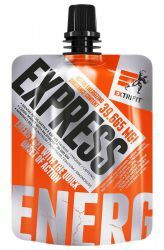 Magnesium, iron, vitamin B12, B6, C, riboflavin, niacin, and pantothenic acid contributes to the reduction of fatigue and exhaustion. 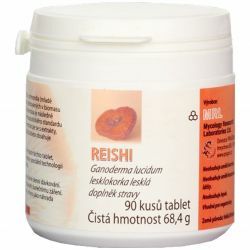 * Iron and riboflavin contribute to the maintenance of normal red blood cells content. 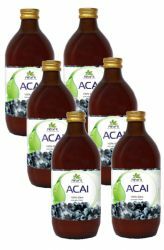 * Vitamin A and zinc contribute to the maintenance of normal vision. 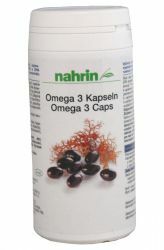 * Vitamin B6 contributes to normal red blood cells production. 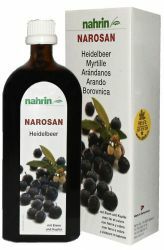 Nahrin Narosan Blueberry is an ideal product for persons with increased iron need . 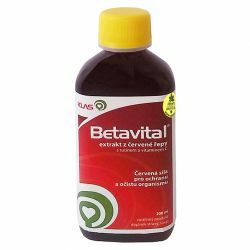 It is suitable for all ages to which promotes state of health with the aid of components such as vitamins A, C, D, E and B in conjunction with biotin and iron. Composition of syrup is also suitable for people with a gluten-free diet or impaired tolerance to gluten. 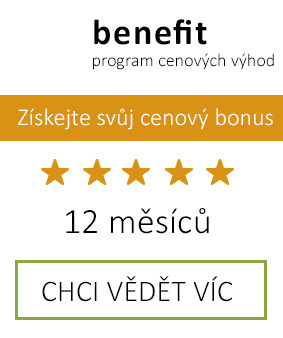 Ideal as a means of strengthening the body. The syrup dose before meals, undiluted or mixed with water (recommended dose of less water with respect to efficacy). Shake well before using! Once opened store in a dry place at room temperature to 15-20 ° C, carefully sealed. Once opened, use ideally as soon as possible. Protect from frost and sunlight. Producer is not liable for damages caused by improper use or storage. 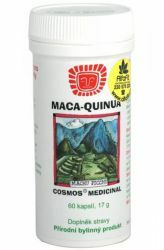 The product does not contain substances of doping character. Use by the date indicated on the packaging. Read leaflet carefully. 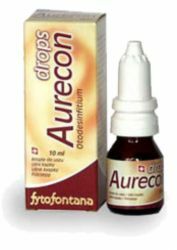 Herb─pharma Aurecon drops ear drops ear cleaning increases efficiency, reduces deposition of excess ear wax in the ear canal.